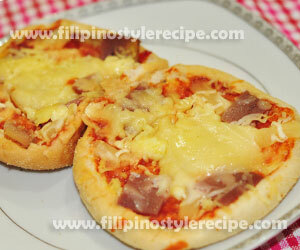 Filipino Style Recipe: Vigan Empanada is a popular authentic delicacy from Vigan, Ilocos. 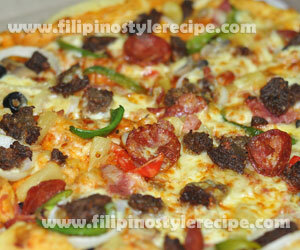 The filling is made of grated unripe papaya and raw egg, we also add sauteed vigan longganisa to make it special. The Wrap consists of rice flour, butter, water and food coloring then deep fried until crisp. 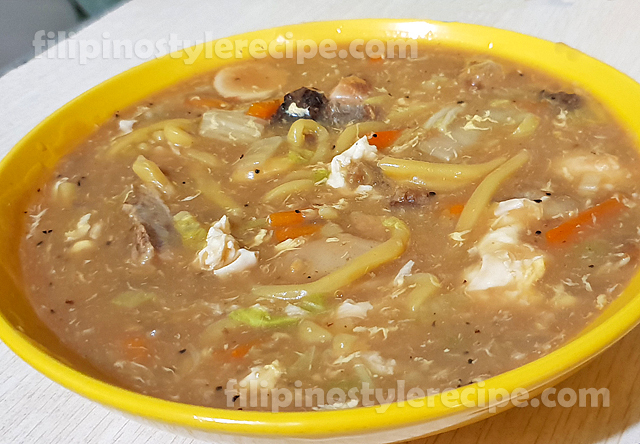 This dish is commonly sold along the streets as meryenda(mid-afternoon snack) and usually served with vinegar. I tried a special Vigan Empanada somewhere in Sampaloc, Manila last year and it was also good. 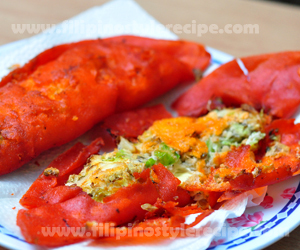 But of course, the authentic Vigan empanada from Ilocos is still different and it’s a good experience once you try it. 2. Add longganisa then season with salt and pepper, cook until brown. 3. Transfer in a bowl then add grated papaya then mix and set aside. 1. 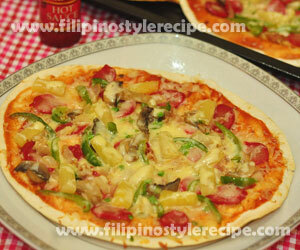 In bowl, combine all ingredients then mix until dough is formed. Set aside. 1. Place a plastic wrap on the table then brushed with oil. 2. Take 3 tablespoons of dough then flatten using a rolling pin. 3. Place 3 tablespoons of filling over flatten dough then make a small space in the middle for raw egg. 4. Fold and seal the sides then trim the edges using a plastic plate. 1. In a pan, heat enough oil then deep fry empanada for 3 minutes or until crisp. 2. Drain on paper towel then serve with garlic vinegar.